Are you expecting or maybe you just had a new bundle of joy & your looking for nursery furniture? Well Urbini has you covered, they added a new line of nursery furniture to its portfolio, including wooden cribs! I absolutely love the color & style of the wooden cribs, what a beautiful piece to add to your little one's nursery! 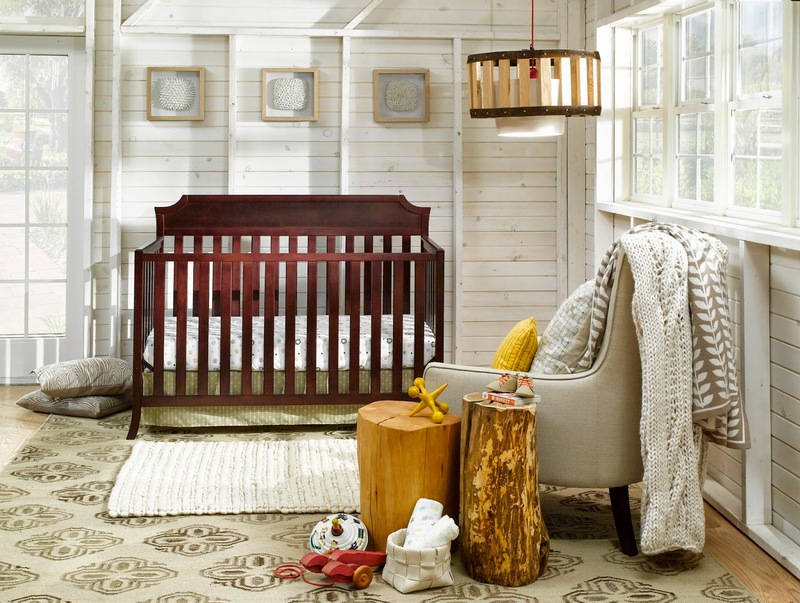 To showcase this line, Urbini created the Urbini Dream Nursery Instagram Contest where one lucky winner will have the designer of the new Urbini nursery furniture, Rachel Dacks, come to their home to provide them an Urbini Dream Nursery, including Urbini furniture and décor. For full contest rules & regulations be sure to visit Urbini Dream Nursery online! The Urbini Dream Nursery is perfect for new moms looking to convert a room into a first time nursery or it would be great if your a mom needing a nursery update in your home! The Grand Prize winner will receive: One Urbini Crib, One Urbini Changing Table, One Urbini 6 Drawer Dresser, One Urbini Cubi Play Yard, in addition to the Urbini furniture, the winner will receive a home visit by Urbini designer Rachel Dacks to personally outfit a newly designed nursery! The Second Prize winner will receive: Choice of one Urbini Crib! The Third Prize winner will receive: One Urbini Cubi Play Yard! Sweepstakes Winners: Each day, one sweepstakes participant will be randomly selected to win a $50 Walmart Gift Card! Be sure to stay connected with Urbini on Instagram, Facebook, Twitter & Pinterest!